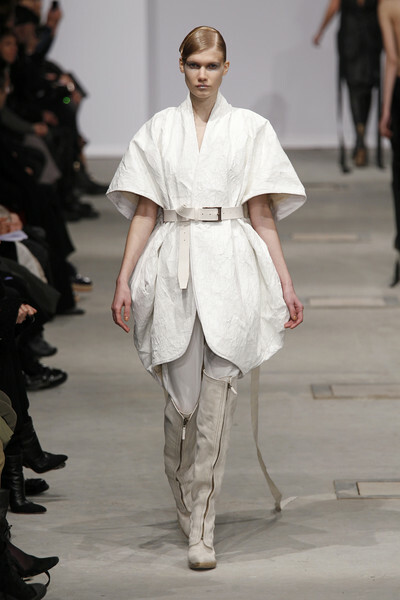 Again Dutch designer Jospehus Thimister tried to make a comeback, after the presentation of his haute couture-collection a year ago. 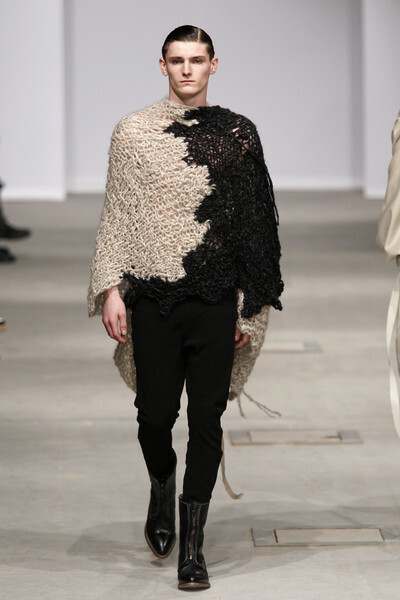 Hopefully he will last longer now. 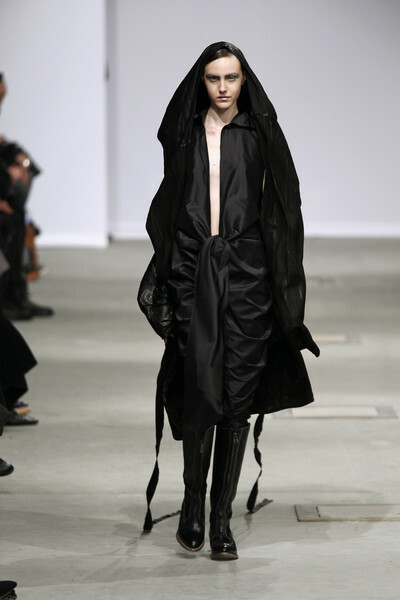 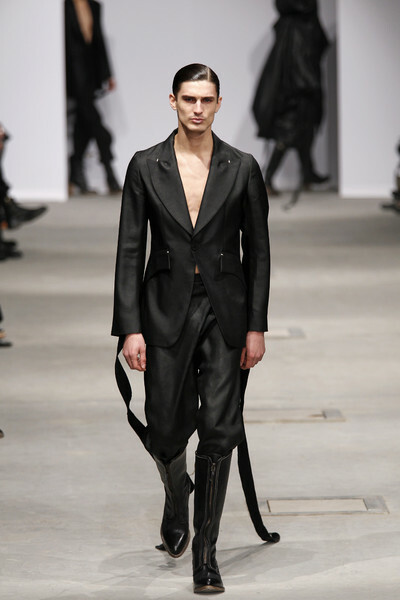 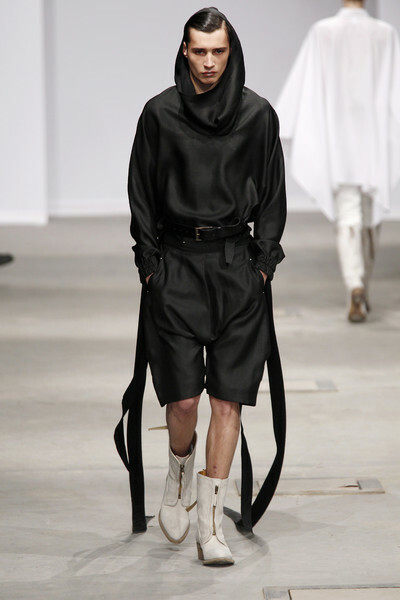 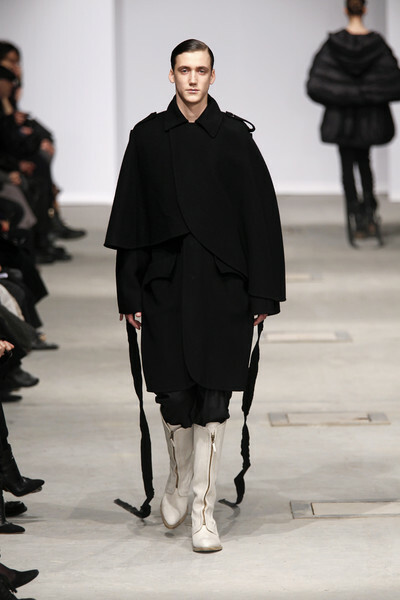 Thimister started his show with total black and total white outfits – suits, dresses, jumpsuits – loose, draped, for men and women. 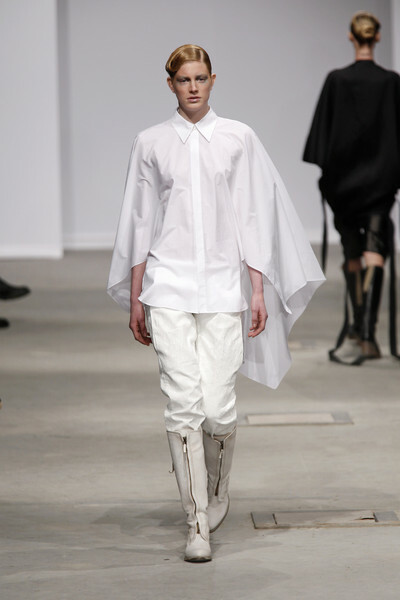 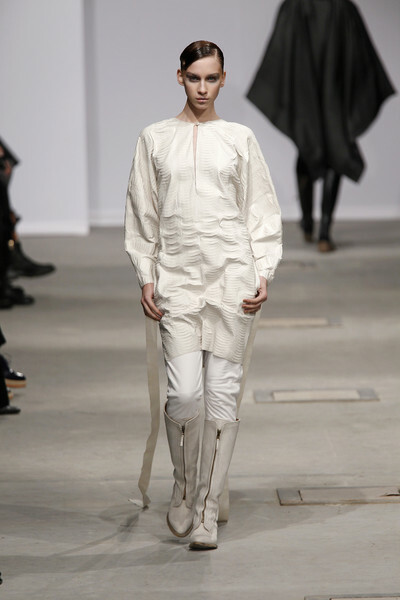 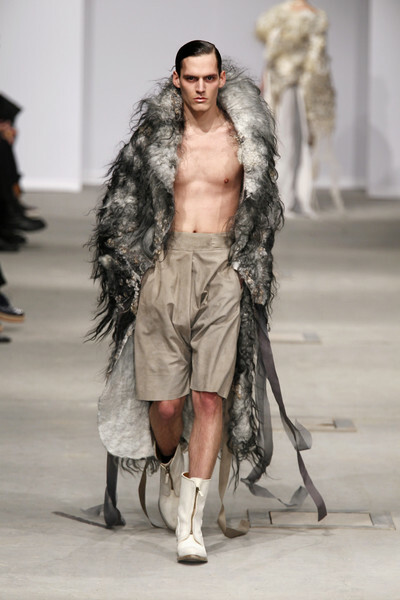 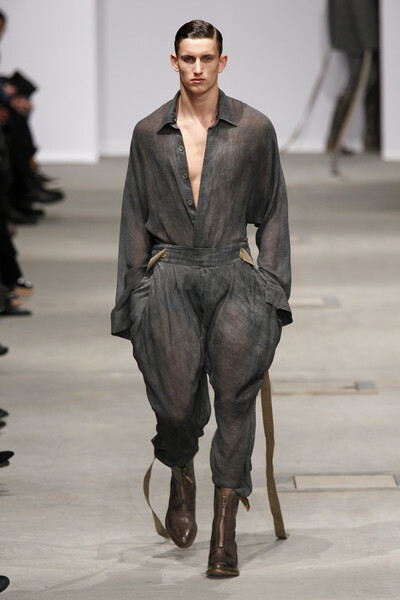 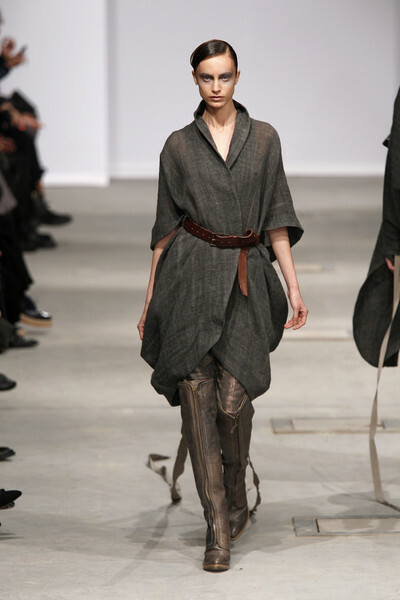 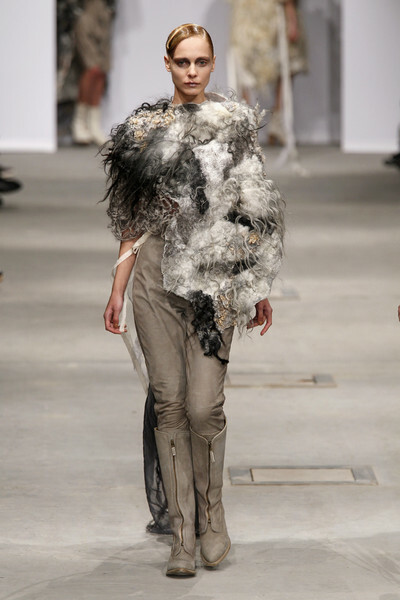 The most interesting part though was the second half of the show, where Thimister used his obsession for fabrics to present rough, tough knits and garments made of hairy felt and skin in white and grey tones.